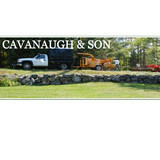 Established in 1982, we are a family owned tree and landscape company. We offer a wide range of services including a full tree service, lawn care, landscaping, and Snow Plowing. Quality is of paramount concern and we take pride in every job that we do. We Serve Franconia and the North Country but have traveled upon request. With our experience and your input, together we can transform your property. 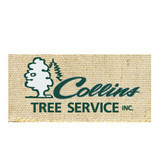 Since 1971 the Collins Family has successfully owned and operated Collins Tree Service, Inc. During that time we have served the tree and shrub needs of thousands of people in every conceivable situation. From the remnants of devastating storms, to the regular care and treatment of the natural life that surrounds your house, we have the experience to help increase the value of your home. Our business has flourished in our corner of New England because we treat every customer with the same respect and attention to detail that we would a family member. On behalf of all of our extended family, we want to thank you for visiting our web site. I hope that you will find our approach to your environment thoughtfully interesting and refreshingly honest. 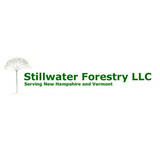 Stillwater Forestry specializes in forest management for the long term as well as applying sound environmental principles. They implement all aspects of a successful timber harvest while earning high rates for their customers. They seek to practice honesty and trust with their landowners and contractors. Stillwater Forestry wants to ensure that their quality of clients’ forests is improved as they pay close attention to all aspects and details of forestry management. They offer reasonable rates and great customer service. 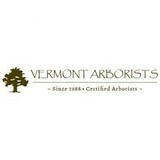 Vermont Arborists has been helping people with their tree care needs for over 30 years. When we come to your property our primary goal is to make your land look beautiful. We specialize in hazardous tree removal, pruning, planting, view enhancement, fertilizing, spraying, and cabling & bracing. We are members of the Tree Care Industry of America and have 4 arborists on staff certified by the International Society of Arborists. Northeast Top Notch Landworks is owned by Mathew Bouchard, a life long resident of the Concord, New Hampshire area. With over 15 years of experience in the tree service and removal industry, our goal is to provide you with professional service and outstanding customer satisfaction. We are dedicated to serving our customers’ needs by offering the best quality service at affordable prices. Your Norwich, VT tree service professional or arborist might work in conjunction with another landscape professional to create a seamless landscape design. Here are some related professionals and vendors to complement the work of tree services: Landscape Contractors, Landscape Architects & Landscape Designers, Garden & Landscape Supplies. Find tree service professionals on Houzz. 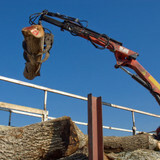 Look in the Professionals section under Norwich, VT tree services. You can look through portfolios and read reviews to see what past tree care clients have to say.